1. Sprinkle flaxseeds on your oatmeal in the morning. Even better, grind them fresh in your coffee grinder, then add them to salads and cereal. 2. Add flaxseed oil to your yogurt. 3. Eat a smoothie that contains evening primrose oil, almond butter, banana, cocoa powder and acai. Evening primrose oil helps to boost ovulation and acai is an antioxidant powerhouse that also contains EFAs. 4. Do cod liver oil shooters. Take a shot glass, fill 1/2 with OJ, and one teaspoon cod liver oil and throw it down the hatch. -Put in food processor and mix until a firm dough consistency, put in a plastic bag and munch! 6. Eat lots of wild Alaskan salmon, it contains tons of Omega 3’s (the EFA we lack most of in our diets). Salmon can be used in breakfast, lunch and dinner… I love to make salmon for dinner and plan for extras that can be used for salmon omelets or salmon spinach salad with pine nuts, goat cheese, and cranberries. 7. Eat grass-fed bison, new studies show that organic grass-fed meats contain essential fatty acids. Meat from grass-fed animals has two to four times more omega-3 fatty acids then meat from grain-fed animals. 8. EFAs come in capsule form, so for those of you on the go, make sure you have a bottle with you in your purse. If eaten between meals they also help with increasing metabolism and weight loss. 9. Use Udo’s Wholesome Fast Food and sprinkle on salads, fruit, yogurt, and smoothies. This essential fatty acid blend contains a wide variety of EFA’s freshly ground for convenience. It does actually taste really good. -Put into a blender and enjoy. Refrigerate. 11. Eat seaweeds. Seaweeds contain essential fatty acids also! When you go out for sushi try the seaweed salad, it tastes really good and is packed with EFA’s. 12. Try Hemp Protein Powder. Hemp contains a ton of essential fatty acids, protein, and fiber. Add the protein powder to your smoothies for a healthy meal! What EFA capsule do you recommend? Thanks for asking! We prefer FertilicaTM Cod Lover Oil or Omega 3,6,9 Complete EFA (click either to learn more). 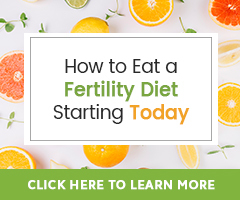 Thanks you very much for educating us on fertility diets and how we can use them. I live in Ghana, West Africa. I have been reading your educative articles on the foods to eat in order to boost my wifes fertility and i but the problem i have is that , i believe most of the names of the herbs or foods that you give is from your native language so we find it difficult knowing some of them or finding them. So i want to know whether you have any shops or distributors of your products in Ghana. Thanks. I am sorry we do not. 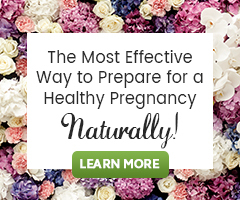 We only sell our products online through our Natural Fertility Shop. We ship internationally.